It's maxi skirt season which means I am taking maximum advantage of the summer heat by wearing this flowy, floor-grazing piece. I found this one at Forever 21 two years ago and it has been a favorite of mine. I love the sheer overlay, side slit and mini skirt-length slip underneath. Plus, it's black! This skirt is cool in more ways than one. 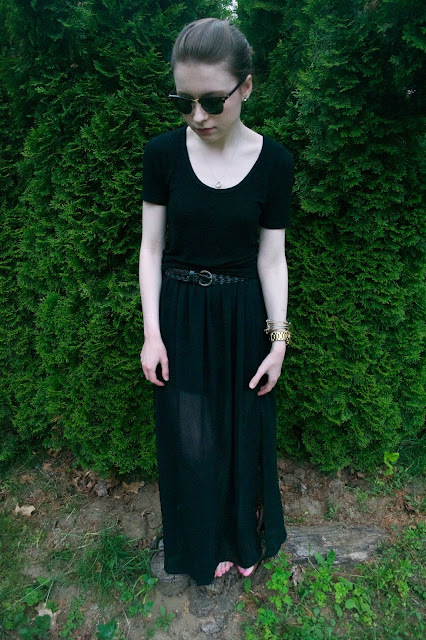 I went all black to the max with this outfit by pairing the skirt with a simple and soft Brandy Melville tee. A woven belt, flat sandals, my signature jewelry and Ray-Bans complete the look. 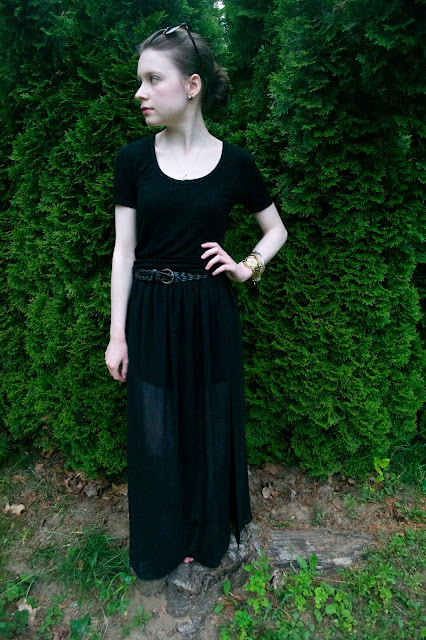 If you have a maxi skirt just sitting in your closet, start wearing it! Don't let the summer months pass by. Take your style to the maximum level. Love the head to toe black. 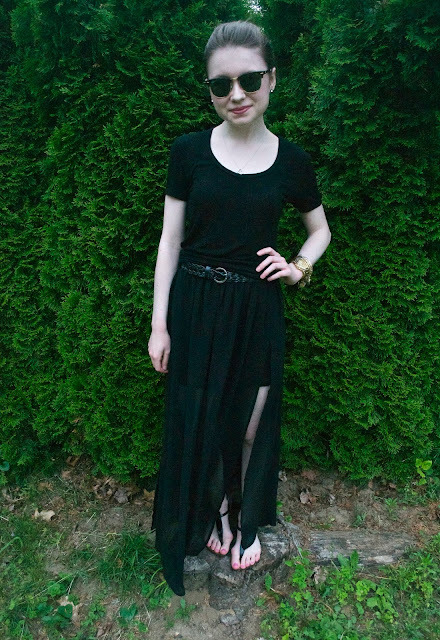 Even though people stay away from black during the summer, I think you made it look completely do-able! So chic. Thank you, Ruya! 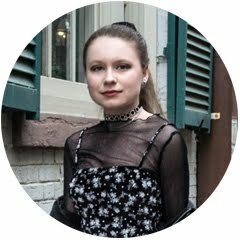 I love to wear black all year round and try and find the best ways to do so each season. Head to toe black always looks so chic!! Thank you! We short girls always love lengthening pieces! Beautiful all black outfit! I love the maxi skirt.Have a great rest of the week!